rather than the final say of what Saegoahs do. Outside the Basic Tenets, everything is optional. Spoken Word is Bold and within "Quotes"
Walk onto the grounds from West. Walk in one full circle around perimeter going the direction of the earth's spin. 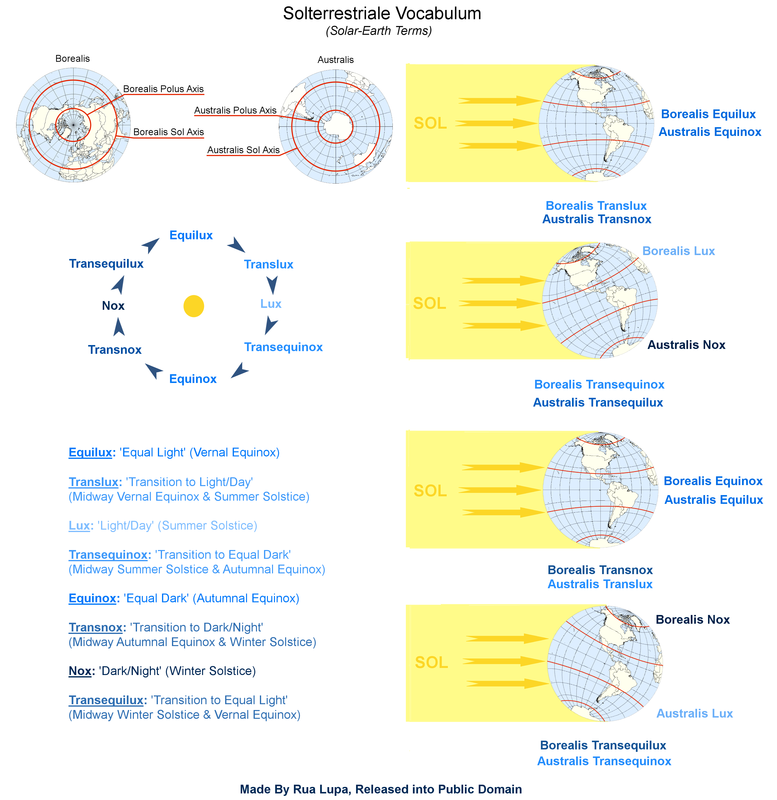 (The direction of circling the grounds depends on which hemisphere you are on. 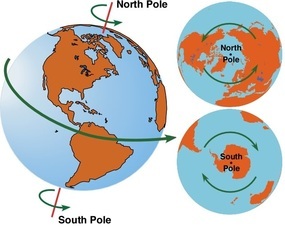 Counter Clockwise on the Northern Hemisphere, Clockwise on the Southern Hemisphere.) On the second go around, gather in loose circular clump around center, which could potentially have a fire or altar. Children, and pets that have been socialized with the group, can move freely about. Once everyone is gathered, collectively do a verbalized deep inhale. Chant Eh-O-Ah thrice. Or Hum, led and stopped by designated organizer, stopping when the feeling is right. Turn to face the nearest pole or the Center and begin the ceremony focus, which may be rites of passage like birth, bonding, and diffusion, or Solterrestriale Festivitas ( "Solar-Earth Festivities", seasonal celebrations). “pro solterrestriale vitae”, “for solar-earth life”. The word 'animals' is often used to refer non-human creatures. Yet, this causes a sense that we are "separate from animals." Saegoahs, regarding themselves as creatures of this planet and home we call earth, refer to creatures other than ourselves as 'other animals'. Reinforcing the fact that we too are animals. It is recommended that the surname, or last/family name, be inherited through the mother. Each child born to her carries her family name and that name remains unchanged for the entirety of that person's life regardless of status change, such as martial status (Mr., Ms., & Mrs., is also not used). This is due to it being indisputable on who the biological parent is, providing a clear lineage that is beneficial to understanding your biological inheritance. Start new ventures during a waxing moon. Consummate old ventures during a waning moon. While the night of Lunanox (new moon) is a solemn occasion calling for vigils and meditation. During Lunanox try not to push forward too actively in a new direction. Instead, try to prioritize which activity will be important for you during the coming month. "Before we eat, lets embrace in a web of life in a moment of silence to appreciate this food, where it came from, the effort taken to prepare it, and those we're sharing this meal with." ... "Let's Eat!" "When we eat food, we are eating of the land. What we take in becomes part of us and in turn we become part of the land our food comes from. We are not separate from the land, we are the land. When we speak it is the land speaking. Each, one voice among many, singing the land's song. Let us all respect ourselves by respecting the land, remembering our connections and being grateful for them."... "Connected to All"
Be conscious of what you eat because what you eat becomes you. "To have a strong connection with the land you reside on, eat solely from it." "This wood that is about to burn was once a living tree that harvested the energy of the sun. So when this wood burns, it is not the fibers of a dead tree being consumed. It is the fibers of a dead tree releasing the energy of the sun." "Light from Wood is Light from Sun. The night sky is no longer visible to the majority of humans due to light pollution. As Saegoahs we prevent light pollution the best we are able. This means that all necessary outdoor lights are instead red. This red light doesn't break night vision and allows an unhindered view of the night sky.